Libman's first foray into TV in decades, they tasked us with creating a spot that would make families feel a stronger connection to each other through the power of cleaning. So we took the literal chore of cleaning and flipped it on its head. Instead of worrying about the mess, we told families to embrace it. This message led to a fun and playful spot that showed families living for the moment no matter how messy life gets. Pro Tip: Click the fancy little play button in the middle. 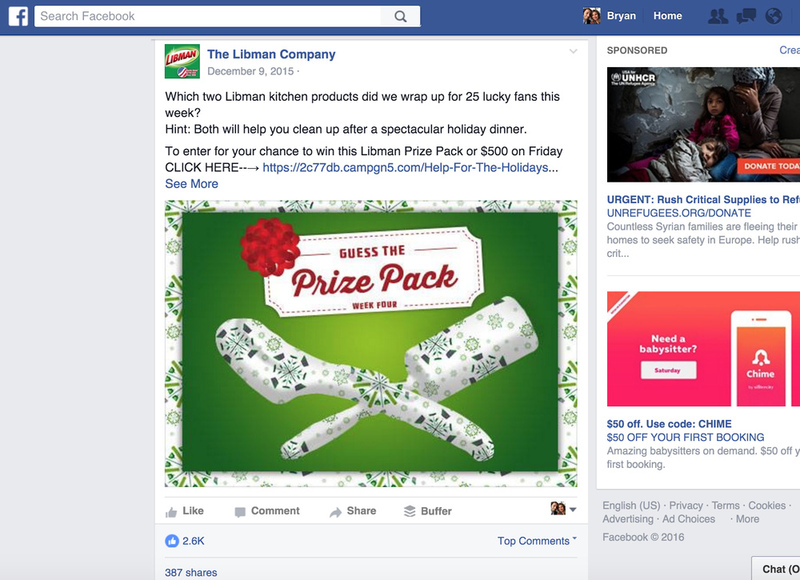 The majority of Libman's social media initiatives consisted of quarterly Facebook promotions. 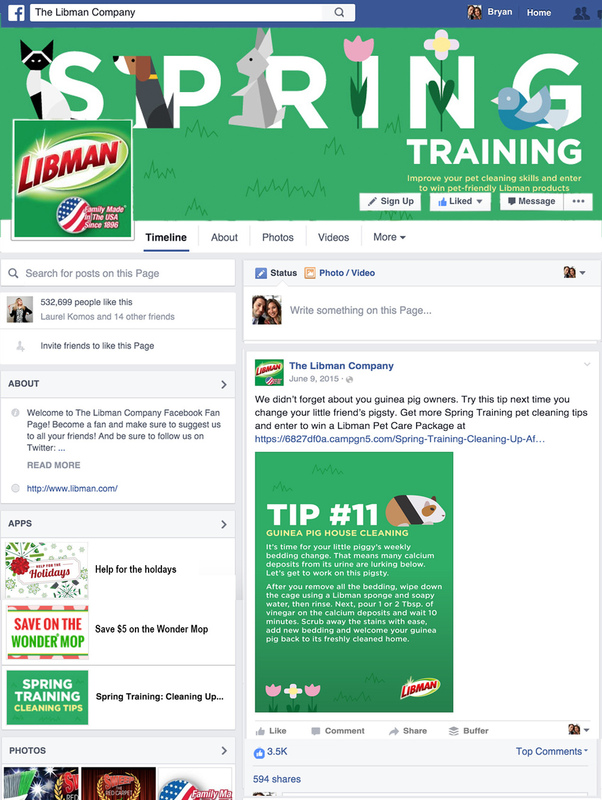 Designed to coincide with cleaning occasions, philanthropic opportunities or just fun ways to promote the full breadth of Libman cleaning products, these fun seasonal Libman's facebook initiatives would go on to drive page growth from 250,000 to over 500,000 fans. Other metrics of success, including email signups, user engagement and earned media,vastly exceeded Libman's goals, resulting in a more active and loyal fan base who loves the family made in America since 1896 quality of Libman. Libman made its mark with their American made brooms and mops. But what most people aren't aware of is that Libman boasts over 100 different cleaning products, some of which are perfect for cleaning up after your pets. 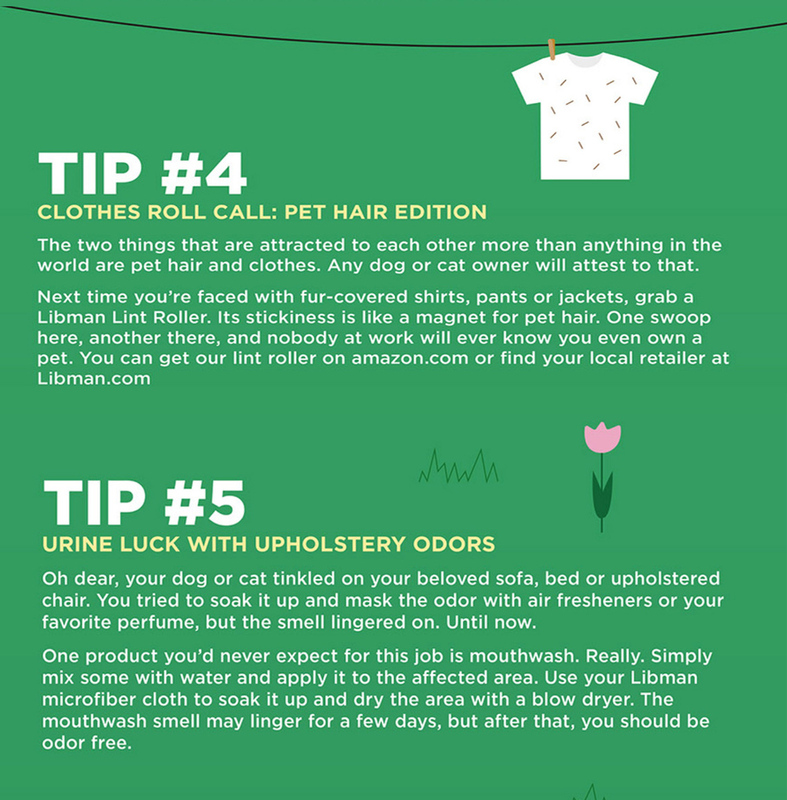 To increase fan awareness of Libman's pet friendly cleaning items, we gave away 'Spring Training Kits' and posted pet tips on Libman's wall throughout Spring to help pet owners keep their home from turning into a furry mess. 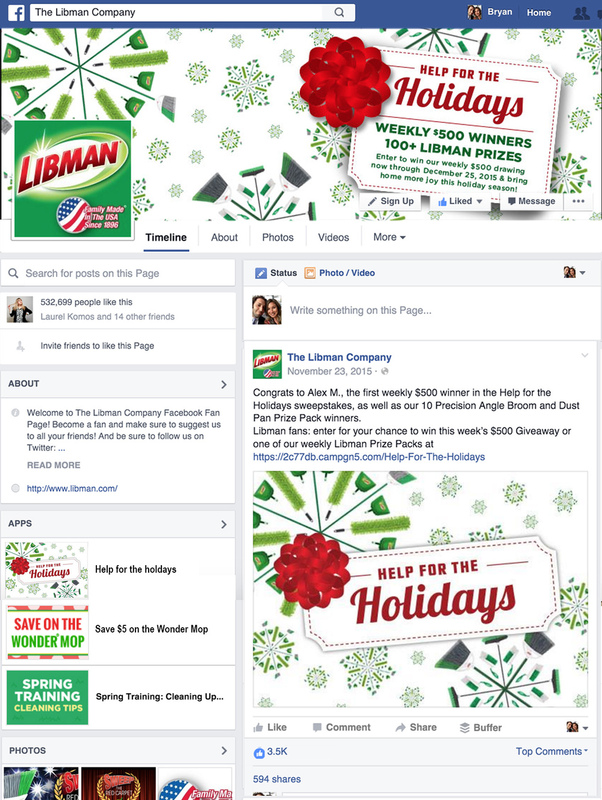 with $500 as well as 100s of free Libman holiday-themed prizes randomly given to other participants.